A conservatory can increases the size and value of your home, offering a unique space that can be used for a number of purposes. Conservatories can be used as living rooms, dining rooms, reading rooms and even as gyms. They are used a lot by all the members of the family and therefore, you must make necessary efforts to protect them against accidents and the wear & tear that time brings. 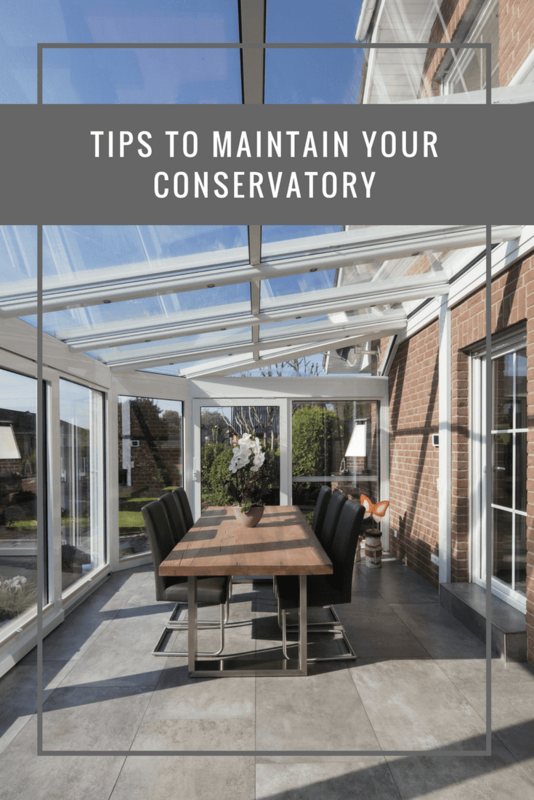 Let’s have a look at the following tips to maintain your conservatory, these will help you make most from your conservatory for years to come so that it is frequently used and enjoyed by the entire family. Most of a conservatory is designed using glass, and hence, the best way to keep it looking clean and attractive is to clean the glass. You can clean the glazing of your conservatory in the same way as you would clean any other window pane in your home. You can bring in use the conventional cleaning products that are available in supermarkets. They will be more than sufficient in helping you look after your glazing. It is advisable that you should clean your conservatory minimum four times a year. Although you could do it yourself, there are a number of specialist companies around who can take care of the maintenance for you. Double glazed windows ensure warmth inside the conservatory throughout winter, as well as the summer. To keep the glazing clean, you should purchase an extender pole cleaner that allows you to reach even the hardest to get to parts of the roofing or windows. By buying a longer cleaning device, you will be able to clean the upstairs windows of your home as well. A majority of conservatory furniture is made of cane and bamboo. If you don’t protect these materials, you will eventually see them begin to break down and look tired. What you can do is move your furniture around regularly. 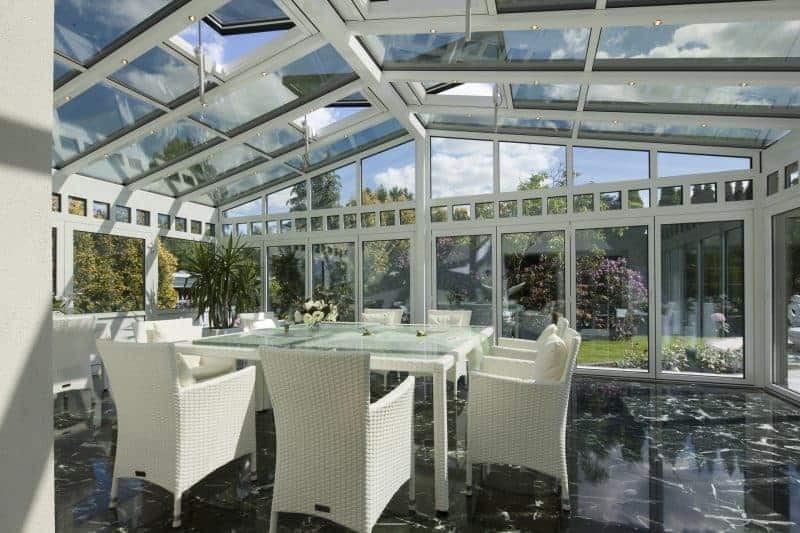 Each portion of a conservatory will be exposed to different levels of rays from the sun. Therefore, rotating furniture will make this more even. Doing this will protect your furniture. You don’t need to do it too often, but do be aware of which areas of your conservatory are warmer, hotter or lighter than others. You must also look after the cushions on the furniture. Dust and vacuum them at least once a week by turning them over regularly to help them maintain their shape. Also, remove any accumulated dirt. It will also help with protecting against any future fading. It is found that synthetic rattan is an ideal material for conservatory cushions. It can stand up to the heat on hot days. You should also be ready with replacement cushions for conservatory chairs. Synthetic rattan is UV resistant and doesn’t fade in the sun. Synthetic doesn’t mean fake; it just means they are more durable and less prone to damage, wear and tear. You should polish your furniture with light duty polish and never use any harsh chemical cleaners. This way your furniture will last for a long time. So you can enjoy it longer into the future, and you don’t have to spend money on them. So this was all about maintaining a conservatory without spending a fortune. Hope you find this article informative and helpful. If you would like to share some more conservatory maintenance ideas with us, write to us in the comment section below.